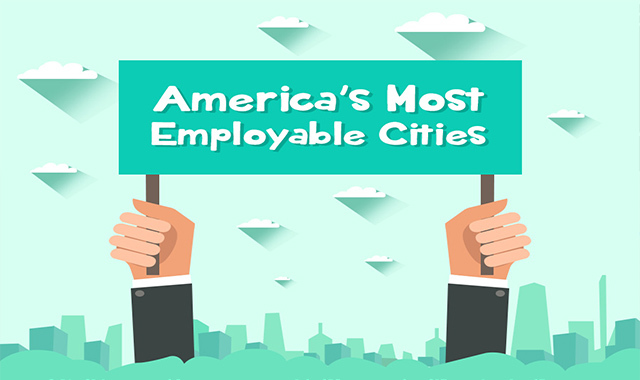 The Best Employment Destinations in America #infographic ~ Visualistan '+g+"
Year after year, millions come to USA to chase their dreams, to live the American Dream of economic opportunity and upward social mobility. The good news is that 2018 is one of the best years in a long time – the unemployment rate dropped to 3.8%, the lowest since 1969! However, this is the median rate, and city-wise ratings depend on the status of the local job market and socio-economic markers.